The Port house of Quinta do Noval, located in the Pinhão Valley in the middle of the Portuguese region of the Douro and famous for producing its best wines from a single quinta or estate, has experienced a stunning rennaissance since 1993 when it was acquired by AXA Millésimes, the fine wines division of the worldwide insurance group. It has since re-established itself as one of the highest quality, if not the very best, Port house(s) in the whole of the Alto Douro. This has been due in no small part to the management efforts of an Englishman, Christian Seely, whose success with Noval was acknowleged with his appointment as overall manager of AXA's fine wine estate portfolio, which includes vineyards in Bordeaux, Burgundy, the Languedoc and Tokay in Hungary, in the year 2000. The historic Quinta do Noval estate was first registered in 1715 and became an important vineyard before the dreaded phylloxera devastated most of the vines throughout the Douro in the 1880s necessitating replanting with grafted American rootstock in 1894 under the new ownership of Port shipper António José da Silva. Almost all of its 145 hectares of vines were replaced except for a small patch of 2 hectares in the middle of the estate which had miraculously survived and the original rootstock was kept phylloxera-free. Some of the 6,000 vines are 80 years old and the average yield of very small berries is approximately 12 hectolitres per hectare, less than half of the estate average. This patch now produces the legendary Quinta do Noval Nacional Vintage port which is produced in very limited quantities in extremely good years only and which sells for £350 a bottle on release and subsequently changes hands for very much more. This had not always been the case, however, as during the 1970s and 1980s standards across the range had been allowed to slip somewhat and the Nacional was released in more years than was strictly good for the retention of its status. The era of AXA's ownership has seen a replanting of all but the plot of vines whose grapes are destined for the Nacional Vintage Port and whereas formerly the grape varieties were all inter-planted there are now distinct plantings enabling harvesting to take account of peak ripeness according not only to the variety but also the micro-climate resulting in the best grape quality possible. In addition the sun-baked terraces, formerly built by hand piling earth on top of the 60 degree slate and granite slopes, have been re-worked to enable a degree of mechanisation although harvesting at Quinta do Noval is still carried out by hand using secateurs. Being the first estate to widen the vine-growing terraces and incline them for better exposure to the sun. Declaring its Quinta do Noval Nacional Vintage 1931 as well as the Quinta do Noval Vintage Port 1931 in 1933 which have since established the reputation of being probably the greatest ports of the 20th. century. Following the declaration and enormous production of 1927 vintage ports and influenced by the economic realities of the Great Depression only three port houses decared a vintage for that year, a decision made with great judgement and prescience which established the Quinta's reputation. In 1958 it claims to have been the first house to release a Late Bottled Vintage Port with its 1954 LBV. Instead of maturing the wine in oak for two years before bottling and further maturation LBV Port is matured in wood for four or even five years before bottling and its release as a ready to drink unfiltered vintage Port which will also age and mature further in bottle. The release of the first Tawny Ports with an indication of age on the label. Quinta do Noval produces a comprehensive range of port wines which are amongst the very best examples of their particular type. On the steep terraces of the estate all cultivation and harvesting is carried out by hand and is therefore very labour intensive. 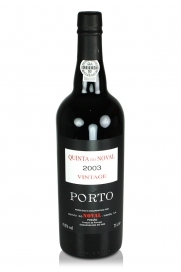 Vintage Nacional Port is Quinta do Noval's jewel in the crown. The small 2 hectare plot was planted in 1925 and has always exploited ungrafted rootstock, hence the designation Nacional - they are original Portuguese vines. 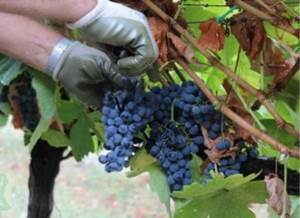 The grapes used for Nacional come from a mixture of Touriga Nacional, Tinto Cão, Touriga Franca, Tinta Roriz, Barroca, Amarela and Sousão vines. It is produced, on average, in three or four years per decade and often when other vines from the quinta do not produce port wine worthy of a vintage bottling. The reverse is also sometimes the case. On average the vines are forty years old and, like all other ports produced from grapes grown on the estate itself, are trodden by foot in the long stone troughs known as "lagares" locally. For Nacional five men tread the grapes for five days which explains the degree of extraction of colour and tannins. Other ports from the quinta are first trodden before transfer to the new automatic lagares. The distinct character comes from the terroir itself and not from any applied winemaking "magic". Because ungrafted vines are less sappy the grapes they produce are smaller with a higher skin to juice ratio and this is reflected back in the ability for such wines to age exceptionally well in the best good years. Whereas the average yield at Quinta do Noval is thirty to thirty five hectolitres per hectare the Nacional plot yields a mere 12 hl/ha. Maturation for Vintage Nacional takes place in a 2500 litre seasoned oak vat. Since AXA's acquisition of Quinta do Noval the following Nacional vintages have been declared: 1994, 1996, 1997, 2000, 2003, 2011. They are renowned for their trademark liquorice and dark chocolate palate with intense fruit which mellows and develops with age as well as for the unique tannin profile. A mere couple of hundred cases are produced. All of the grapes for Quinta do Noval Vintage Port are grown on the estate itself and selection is rigorous. Hand-picking the individual plots guarantees perfect ripeness and the fruit is then transferred to the lagares to be trodden by foot and then left to macerate and ferment. After the addition of grape spirit the Noval vintage ports mature in wooden vats for eighteen months before bottling. Generically these ports exhibit both power and finesse with well-defined fruit expression. A vintage is declared approximately three or four times per decade and often in different years to the Nacional. They tend to possess great ageing potential. Such is quality that the Wine Advocate awarded the 1997 Quinta do Noval Vintage Port 100 points in the year 2000 calling it “the greatest Quinta do Noval I have ever tasted”. High praise indeed. Quinta do Noval produces a range of Tawny Ports for sale from a younger bottle with no declaration of age at all as well as 10, 20 and 40 year old Tawny. The common feature of Tawny Ports is that they spend all of their life maturing in 640 litre wooden barrles rather than the majority in bottle. This has the effect of a slow oxidation and 1%-2% annual evaporation which produces the colour and flavours. 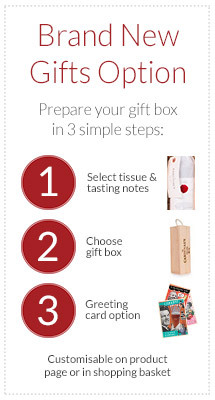 They are a blend of different vintage ports with an average age of the bottle declaration, i.e. 10 years for the 10 year old Tawny. Although retaining a certain freshness from the original fruit the Quinta's Tawnies also display rich, nutty flavours incorporating cream, butterscotch and toffee and have been described by Jancis Robinson as "Exceptionally vibrant and fresh yet as soothing as a head massage." A perfect accompaniment with cheese and nuts. Quinta do Noval Late Bottled Vintage (LBV) Single Vineyard Unfiltered Port - made from Quinta do Noval's own vineyards, matured in wood for 4 - 5 years before bottling. Drink on release or for further cellaring. Silval Vintage Port - from grapes not grown at the Quinta itself. Exuberant fruit for earlier drinking although also ageing well. 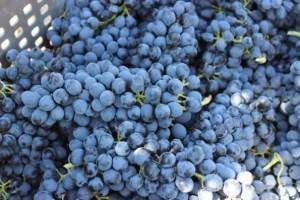 In years when a Vintage Noval is not declared all of the grapes normally destined for it are used for the Silval making it a great bargain at approximately half the price. Noval Black - a modern style of Port. A blend of the Quinta's own grapes, foot-trodden and wood aged for 2 years blended with top quality fruit from other Douro vinards mechanically crushed and matured in stainless steel tanks to preserve freshness of fruit. A perfect match for dark chocolate or to drink lightly chilled.